Once you start with candy science it becomes so addictive! 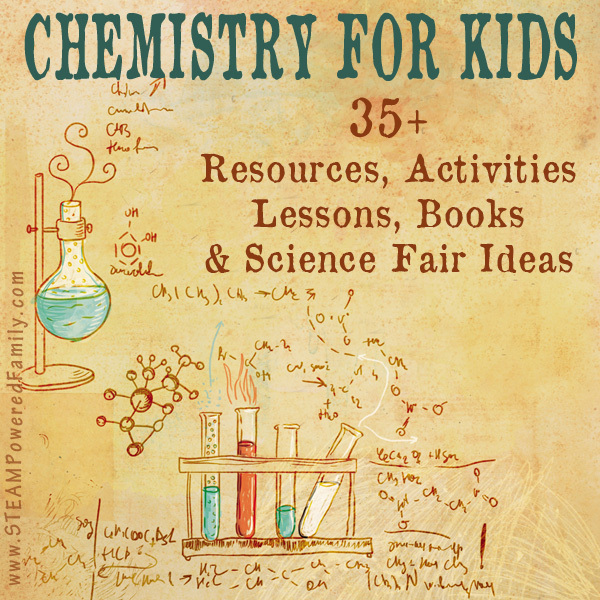 Kids love studying the science and chemistry principles in a very real, hands-on way. Failure means no candy, success means a sweet candy treat! 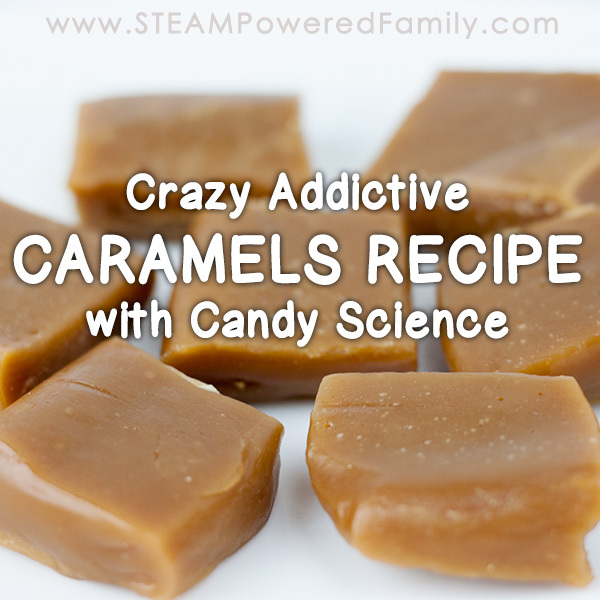 So in our continuing quest of candy science learning we decided to tackle soft, chewy, super yummy caramel candies. Of course our homemade caramels recipe came with some fantastic chemistry lessons. If you are new to our Candy Science series, make sure you check out our master Candy Science page. 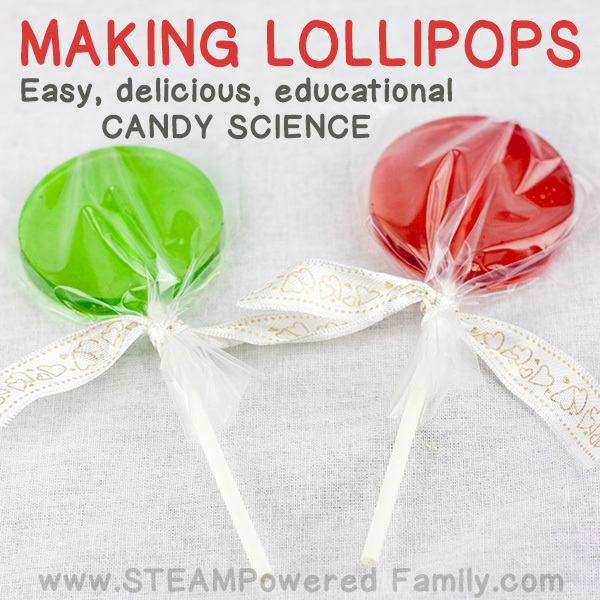 On this page you will learn more about the chemistry of candy making, plus the importance of temperature and altitude, and an exploration into how such similar ingredients can result in such a wonderful variety of sweet treats. Plus, that article will give you some important information and tips to ensure your caramels turn out perfect! Now the fun begins! I’m a big fan of caramels and this recipe smells so good. It can be hard to wait for it to set up, but your patience will be rewarded! First up, stir the cream, sugars and glucose together in the saucepan while it is cold. Once mixed, put the pan on a medium heat and stir mixture constantly until it starts to boil. Reduce the heat to low medium and clamp the thermometer onto the side of the pan. Remember to test your thermometer first like we shared in our Candy Science article. Clamping to the side is important to ensure the bottom of the thermometer doesn’t touch the bottom of the pan. This is to ensure your temperature readings are accurate. Cook without stirring until the mixture reaches 120C / 250F. Remove the pan from the heat. Stir in butter, salt and vanilla. Mix thoroughly. Pour carefully into the prepared foil lined pan and leave it to set for 2-4 hours before cutting into small squares. Eat and enjoy, and try not to get addicted! Caramels are a soft chewy candy that are very popular in North America. The name is actually very misleading because you don’t actually caramelize the solution. If you did reach caramelization temperatures (over 320F), it would ruin your caramels. In our Candy Science studies we learned a lot about crystallization. Caramels are the first candy we attempted where we don’t want crystals in our final product. So, we are heating the mixture to a higher degree 118-120 C or 245-250 F which is known as the sugar stage Firmball in candy making. We are also discouraging the crystal formation by adding, glucose, butter, cream and brown sugar. You will remember in the science we learned that glucose messed up our sucrose molecules when they try to reform into crystals. Fats like butter and cream also inhibited the formation of crystals. And finally, the brown sugar is acidic so that would further deter crystals from reforming.